Doors open 7:15pm, Show starts 7:30pm. 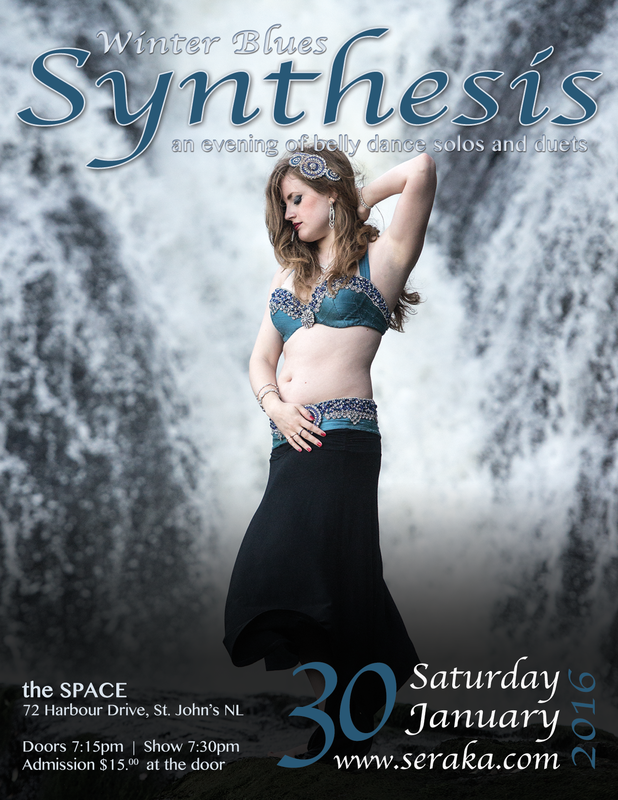 Seraka Dance Company presents “Synthesis: Winter Blues” – an evening of non-traditional belly dance solos and duets. This 4th annual show plays with the idea of all things wintery and bluesy – dancers may embrace the music, the costuming, the expressive nature of the movements, or all (or none) of the above. Peggy Rauman, Andrea Roberts, Lisa Haynes, Meg Ryan, Ashley Hobbs, Amelia Hawkins, Elaine Dunphy, Mary Farrell, Lori Savory, Rebecca Bock, Sarah Carter, Samantha Carroll, Vanessa Elizabeth, Karen Erl & Susan Crocker. “Our 4th artistic show! In an attempt to get away from dreary middle of the darkest months, we’ve chosen the theme “Winter Blues” which dancers can interpret in any way they feel appropriate; jazz and blues music, BlueMan Group, winter, the colour blue, the word blue, Eiffel65, snowflakes, cold, blankets of white, or feeling blue. Tickets are also available at the door for $15. All tickets are final sale, and non-refundable.